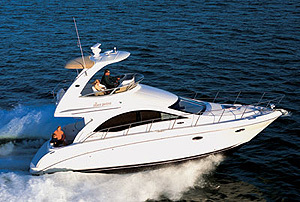 This 2007 Legacy Yacht is in excellent condition. 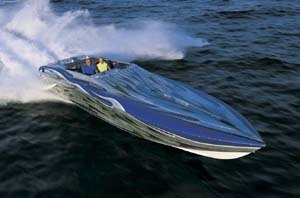 She has been owned by knowledgeable boat owners and has had the best of care. Recently she has had a stern thruster installed as well as a new windlass and helm A/C. 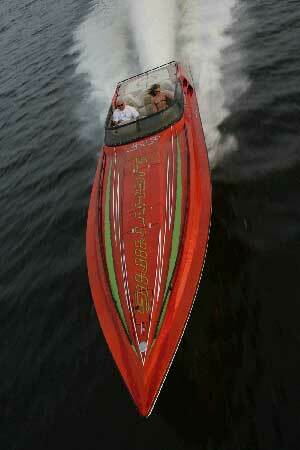 She cruises at 16 knots and is very fuel efficient. The many updates as well as overall condition make this a very attractive boat to the market. 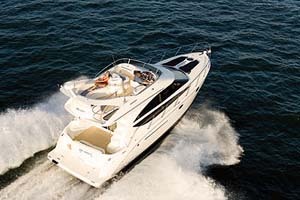 She offers an exceptional layout with a centerline queen berth in the bow. There is a head with stall shower. Forward the galley is to port. The helm is to port on the upper level and a companion seat to starboard. The seats are electrically operated to convert to berths. She has a comfortable cockpit aft and transom door to the swim platform.